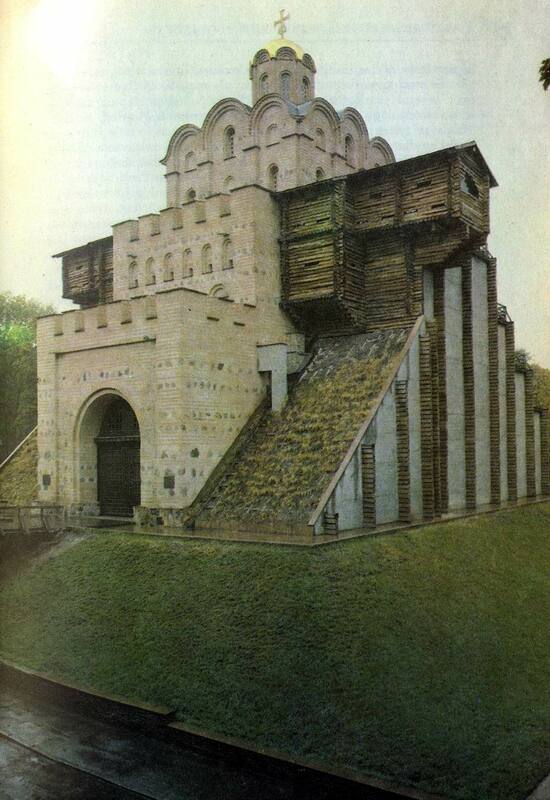 Let us now consider the original literature of Kievan Russia, i.e., that created by Russian writers. We already know that within a comparatively short time Russian writers became acquainted with a rich and varied translated literature. A whole system of genres was transplanted to new soil: chronicles, historical tales, vitae, paterica, apocryphal stories, sermons and homilies. These translated works enriched Russian writers with information about history and the natural world, and introduced them to the ancient myths and epics, to different types of subject matter, styles, and nar­rative. But it would be quite wrong to assume that this was the only literary school for Old Russian translators and writers. They were greatly influenced by the rich traditions of folklore, above all by the traditions of the Slavonic epos. Turning to an analysis of the first original literary works of Kievan Russia, we shall also see that this literature is distinctive not only in its language, not only in its system of imagery and subject matter, but also in respect to its genres: the Russian chronicles, The Lay of Igor’s Host, the Instruction of Vladimir Monomachos, the Supplication of Daniel the Exile and certain other works have no analogy among the genres of Byzantine and Bulgarian literatures. One of the first and most important genres to emerge in Russian literature was that of chronicle-writing. The historical memory of the Eastern Slav peoples stretched back several centuries: stories and legends were handed down from generation to generation about the settling of the Slavonic tribes, the clash of the Slavs with the Avars, the founding of Kiev, and the splendid deeds of the early princes of Kiev. The emergence of a written language made it possible to record oral historical legends and to write down all the most important events of the day. This was the beginning of chronicle-writing. And chronicle-writing was for many centuries, right up to the seventeenth century, not a simple year-by-year account of events, but a leading literary genre, within which the Russian fictional narrative developed. Popular assembly in mediaeval Russian towns.